Every manufacturing business has a process to determine how they will invest in new ideas and new products. Strategic Portfolio Planning (SPP) is the business process organizations use to decide which innovation and new product investments they will fund—and the ones they will not fund—to achieve business objectives. Unfortunately, in most manufacturing businesses today SPP is a paper-on-glass workflow—paper-based processes moved onto the computer. New software tools from the leading PLM vendors are reinventing SPP as a digital process for the modern manufacturer. Traditionally portfolio management has been used to focus the company’s energy and investment toward innovations that will make a difference. New methods link top-down leadership and bottom-up execution into one coherent SPP process, enabling manufacturers to clearly present strategic direction and to leverage strategy throughout the product development and manufacturing pipeline. A paper-based manual process is transformed into a digital innovation engine, bringing visibility, analysis, prioritization, and planning into the product lifecycle. There are many good ideas, but only a few can turn into great products. 2. On-going operational execution of NPD benefits from adequate budgeting, scheduling, and resources. All the leading PLM vendors offer strategic portfolio planning tools of various types. Most take a dashboard analytics approach to planning and execution. All integrate into the fuller PLM infrastructure. Most are compatible with PLM systems from other vendors. 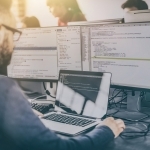 They all share the ability to provide a holistic view into products, product lines, platforms, and brands, speeding time-to-decision and time-to-market by tying the planning process to operational execution. Too many product planning processes are out of date when it comes to access to information in the product pipeline. Establishing a solid Strategic Portfolio Planning system can drive the company to extend operational excellence down the product path, especially for New Product Introduction (NPI). The key is taking advantage of PLM’s star attribute as the single source of product, program, and project knowledge. When portfolio decisions are directly linked to programs and projects, this drives staying connected to detailed development, engineering, simulation, and manufacturing activities. Having a single source of projects opens the door to efficient program execution on any scale, from one facility to global operations. Capacity planning and resource management can also tie into the modern SPP process, ensuring that New Product Introduction and New Product Development (NPD) decisions are matched to company resources and capacity. 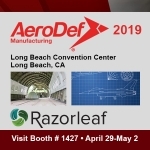 Razorleaf can help you achieve strategic excellence, by combining its unmatched expertise in PLM with the ability gained from years of experience in helping customers define what they need from new technology. Use Razorleaf as your partner in SPP to uncover the hidden issues that can sabotage portfolio planning innovation, including lack of operational transparency, unbalanced relationships between resources and objectives, and responding to changing markets trends.